A long time ago, I thought it would be an awesome idea to spend my life as an archeologist. Imagine, digging through the past, uncovering answers to the way things were, looking back to a different time. Wouldn't that be cool? However, the sheer amount of schooling involved to become a PhD made that dream a far distant one. So, the infrequent trips to Grimes Point, Hickison Summit, Mesa Verde, and a handful of others were as close as I could get. Then, one day, three nice people stopped by the Club Booth and they each were wearing a shirt with a little petroglyph figure (see logo to the left). Poor Martin must have thought I'd mug him when I jumped so fast and bombarded them with questions. 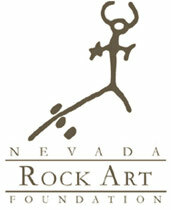 The next morning I was sitting in on a rock art training class headed by Dr. Alanah Woody. Since then I've really tried to help out with the protection of these fragile sites. My work schedule is making that hard, but I do try. Now, a bit of info. Aside from Grimes Point, I'll use the archeological record number to designate these places - as their common name would make them easier to locate. Yes, I do know where these sites are, and have been there. Will I tell you (and the world through this site)? No. The reason - knowledge leads to protection and destruction. If you want to visit these sacred sites, please click on the logo and sign up for a tour, or membership, or stewardship. Heck, just sign up!